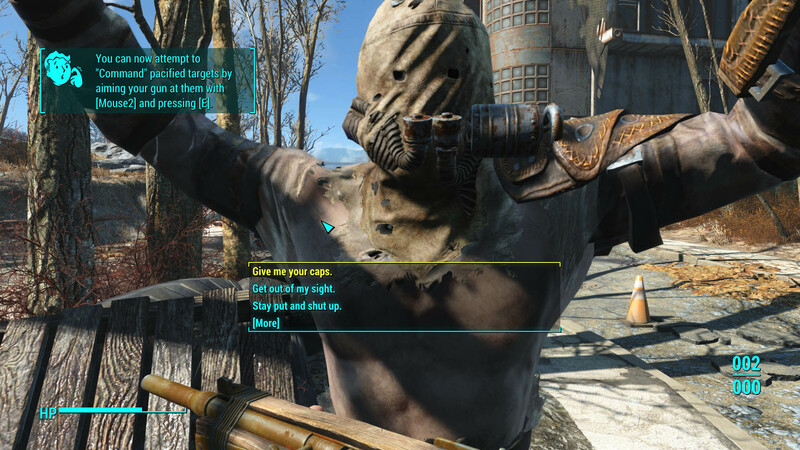 If you've always wanted the Intimidate perk in Fallout 4 to be a little more effective, this is the mod for you. 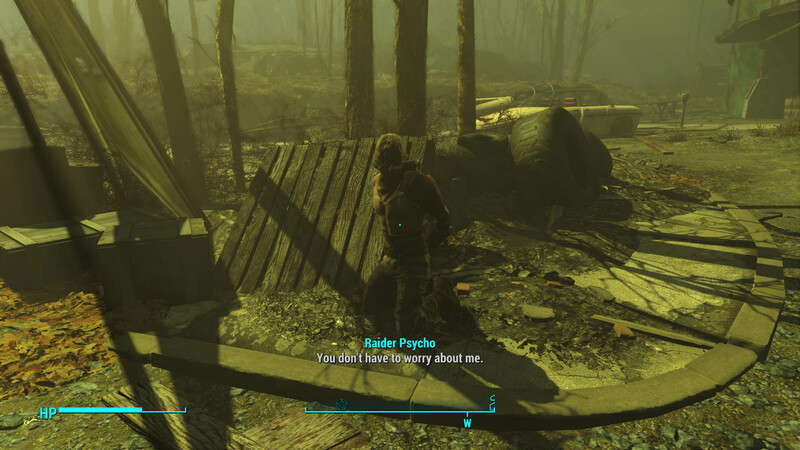 If you've spent any time messing around with the Intimidation perk in Fallout 4, you've probably thought about how it could be more effective. 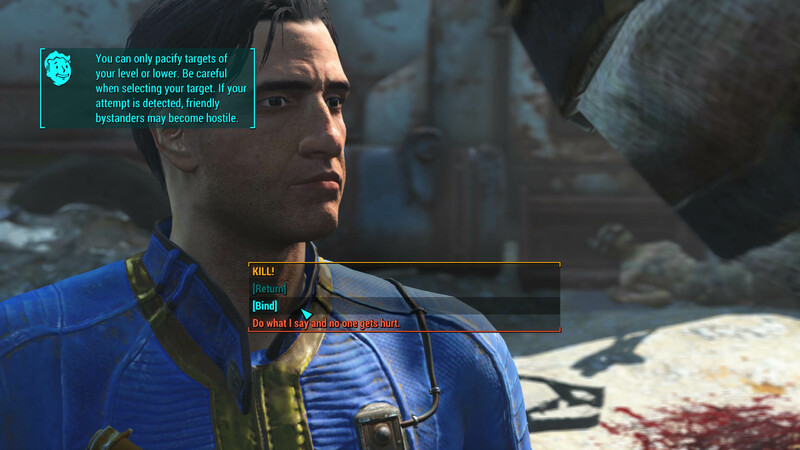 Modder Texashokies has created a mod that lets you maximize the benefits of intimidating NPCs. The Intimidation Overhaul mod not only lets you terrify your enemies, it lets you rob them, tie them up, or cause them to flee. The mod ads the option to demand money from an intimidated foe, as well as an option to use your handcuffs to bind them. You can tell them to leave, and they'll run away - even if you then holster your weapon. 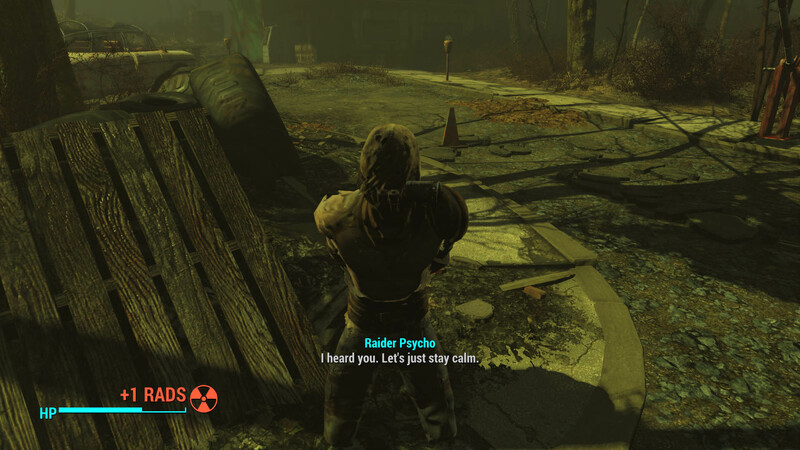 You can even calm down a NPC that's in a frenzy. If you have all three ranks of Intimidate, you can command the NPC to do your bidding. I like the idea behind this mod, because it gives you something to do besides just kill every NPC you come across. I could even see someone making a bounty hunter side story that requires you to find so many NPCs, tie them up, and return them to town. 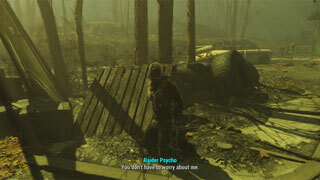 You can grab the Intimidation Overhaul mod over on Nexus mods.